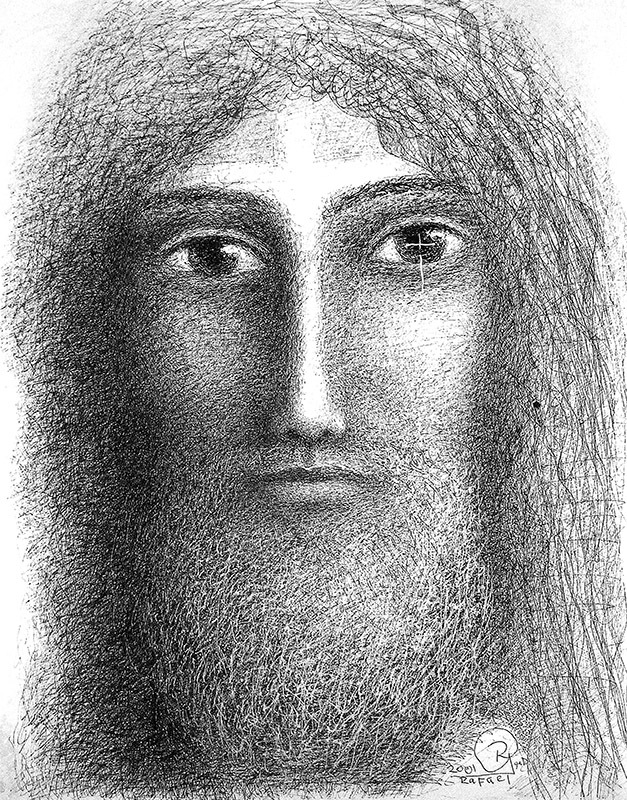 "Jesus" by Rafael Gallardo. India ink on cotton board. 8" x 10".